Last week, I heard on the radio why New Year’s Resolutions don’t work. Apparently, we get caught up in the hysteria of resolution-making and either make too many resolutions or they aren’t specific enough or we just don’t follow through with them. Or all of the above. And since 92% of people give up on their resolutions within two months, why bother? Shouldn’t we accept ourselves as we are and stop trying to reach some crazy ideal? It is important to be comfortable with yourself, but there is nothing wrong with trying to improve or grow in some way. I think it is important to always be developing. You don’t have to continuously lose weight or do whatever it is that is your “go-to” resolution. Shake it up and try something new. I had 3 resolutions for 2014: stay in contact with family and friends, work out for 10 minutes a day, and write 52 blog posts. Staying in contact with family in friends was an unspecific goal that worked in my favour. Facebook, email, texting, phone calls and face to face encounters made it easy to accomplish this goal and I can say it was a resounding success. Working out for 10 minutes a day was a specific goal, but I wasn’t very consistent with it. My hope was that I would lose 10lbs through the year, but it was hard sticking to the daily ten minutes. However, in February my friend Mike and I started weighing ourselves daily and tracking it. By June, we started a friendly bet to see who would lose the most from week to week. By the end of the year, I had lost 15lbs. And I had started exercising regularly, just not on a daily basis. My blog writing was a disaster, though. 52 blog posts was a post a week, which I thought was reasonable; but considering that I had only written 16 blog posts in 2013, it seems wildly optimistic in retrospect. And it was. I only wrote 18 blog posts in 2014. The key to setting goals or trying to change your behaviour is to make small changes. They have to be easy and almost painless to accomplish. It is the snowball effect that will yield larger successes. The journey of a thousand miles begins with a single step. Your job is to make that “step” easy enough to complete. Don’t focus on the destination, just the individual step you are going to take to get there. I plan to spend 30 hours a month on the Genius Project. That averages to one hour a day, which is much lower than I would like, but I believe it is something that I can commit to. Using the month as a measurement allows me to anticipate not working on it every day. Maybe next year I will change it to a weekly goal to ensure that I am spending more time on it, but that will only be after I have year’s experience working on it consistently. I plan to write one blog post a month. I know that I can reach that target. In the last few years, I have averaged that many, even though I didn’t write a post every month. But this year, I am committing to writing at least one for every month. I’ve already written two blogs this month, so I’m on track! And if I write a monthly update on the Genius Project, I will have a 12 blog posts lined up, so I don’t have to worry about topics. I decided not to have a health related resolution this year because I always do that — time to shake it up. 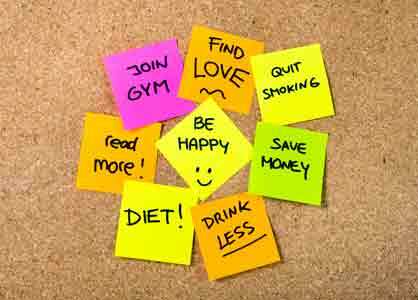 What about you, do you have any resolutions for 2015?